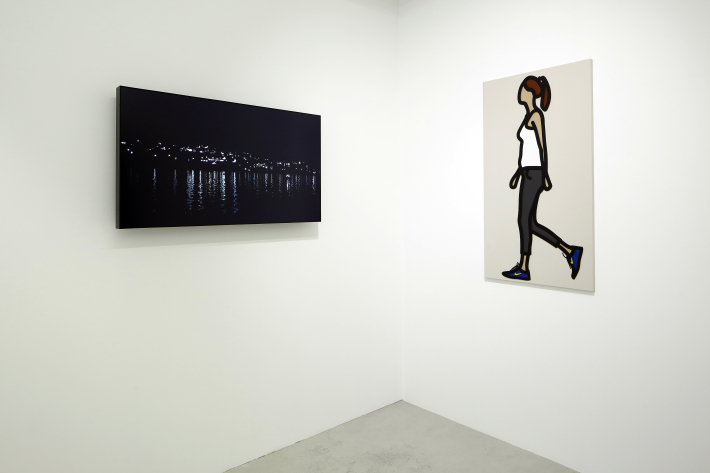 MAHO KUBOTA GALLERY is pleased to announce a solo exhibition by Julian Opie opening Wednesday, October 19, 2016. The exhibition is scheduled to show fourteen new works by the artist, including both video and paintings. For this exhibition, Opie plans to install walls to subdivide the gallery and create a labyrinthine space. As the viewer who wanders into the maze goes here and there throughout the narrow spaces, his or her movements will come to echo those in the paintings on the walls. 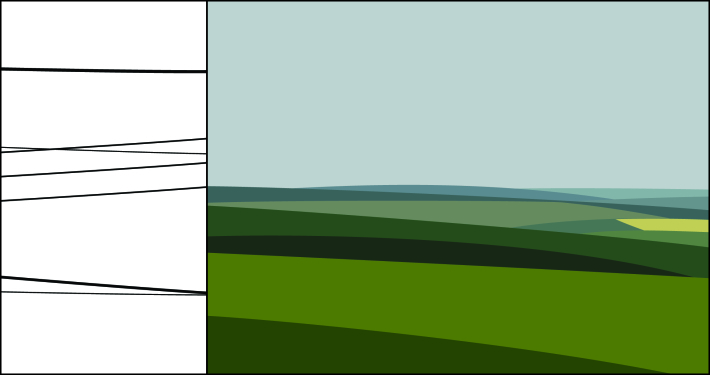 Through the video work at the subsequent corner, the viewer will experience a complex perceptual process like a simulation of the outside world. Something moving, and alongside it, something standing still. This is obvious in the reality of our world. We impart life to the world through the act of seeing. While being a visual experience, art is, in fact, not merely an experience of the eyes alone, but a truly complex and comprehensive perceptual experience that we only first become aware of when all five senses, or senses that transcend them, have been mobilized. 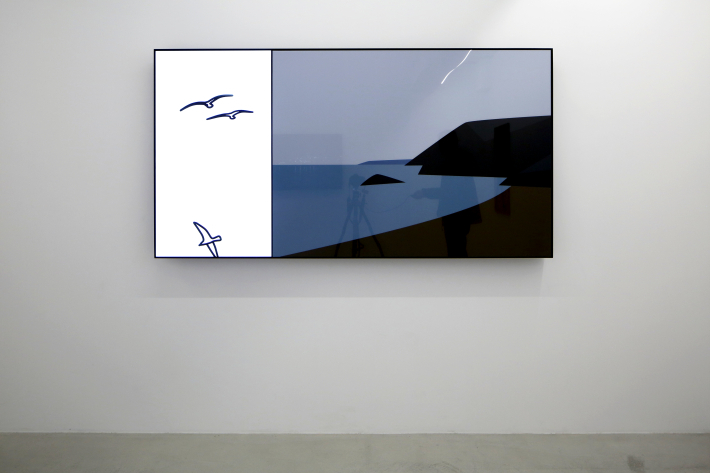 This is what Julian Opie’s new artwork attempts to convey using the simplest forms of expression. In his art, one might even be able to transcend time, and sense the breathing at each moment of the artists of different times, including ancient Egyptians and ukiyoe artists of the Edo Period. We hope that this exhibition allows you to sense that art is the very essence of the relationship between the individual and the world, regardless of the age or place, and that art is formed through an amalgam of the entire environment in which we find ourselves and fragmentary experiences.